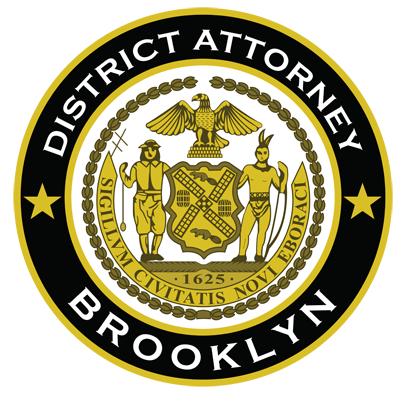 Acting Brooklyn District Attorney Eric Gonzalez today announced that a Brooklyn-based construction company and its owner have been charged with underpaying employees assigned to public works projects, stealing more than $568,000 in wages. The projects were financed by the New York City School Construction Authority and other government agencies. The Acting District Attorney identified the defendants as Michael Riglietti, 49, of Long Beach, New York, and his company MSR Electrical Construction Company, previously located at 31 Bay Street in Red Hook, Brooklyn. According to the investigation, the defendants were granted 15 public works contracts from three government agencies between December 2012 and December 2015. In particular, the defendants were contracted by the NYC SCA to complete electrical work in 13 public schools including four Brooklyn schools: P.S. 164 and P.S. 767 in Borough Park, and P.S. 297 and I.S. 49 in Williamsburg. The defendants were also contracted by the New York State Office of General Services to perform work at Creedmoor Psychiatric Center in Queens, and as subcontractors by the Metropolitan Transportation Authority for services at five locations in Manhattan and Queens. The defendants listed the names of four electricians on the certified payroll reports, which asserted that the defendants had paid all workers the required prevailing wage of between $51-$54 per hour, plus benefits of $42.45-$50.13. The defendants are accused of instead paying their employees between $13.50-$25 per hour, without overtime or required benefits, pocketing over $500,000 in public funds that rightfully belonged to the four employees. The Acting District Attorney has filed an asset forfeiture action seeking to recover the victims’ lost wages.